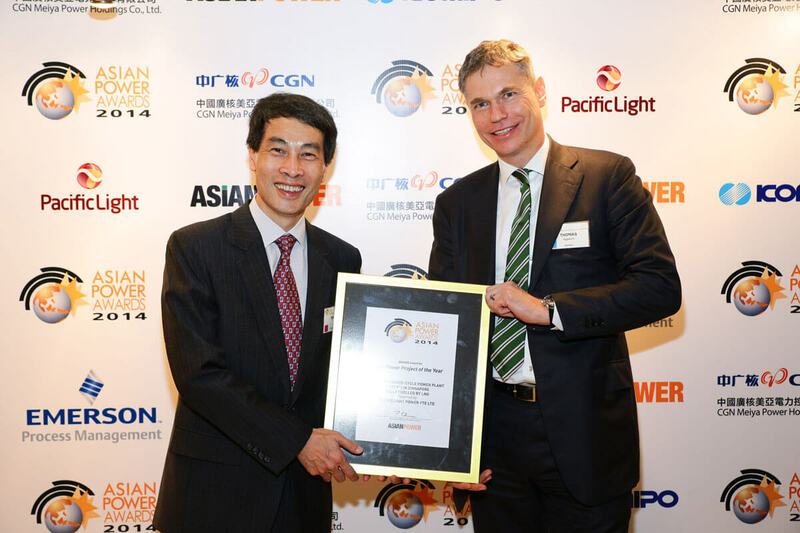 Singapore, 29 September 2014 – PacificLight Power Pte Ltd (“PLP”) has been given an award under the category of Asian Gas Power Plant of the Year 2014 by the Asian Power Awards. PacificLight CEO, Mr Yu Tat Ming, accepted the award at a ceremony held on 11th September in Kuala Lumpur attended by industry executives and business partners. This prominent annual ceremony, established in 2004 by the Asian Power Magazine, has been recognising top achievers, best practices and innovations in the region’s power industry and is judged by an independent panel of experts. PacificLight operates an 800MW state-of-the-art Combined Cycle Gas Turbine (“CCGT”) power plant on Jurong Island and is the largest consumer of Liquefied Natural Gas (“LNG”) in Singapore, utilising Singapore’s first LNG import terminal operated by the Singapore LNG Corporation Pte Ltd (“SLNG”). The plant has been operating successfully since January 2014. Construction of the S$1.2-billion power plant commenced in 2011 under an Engineering, Procurement and Construction contract awarded to a consortium of Siemens and Samsung C&T. The plant was completed on schedule without a single lost time incident. Situated on an 11.3-hectare site on Jurong Island at the western end of Singapore, the power plant features the latest F-class gas turbines from Siemens. In addition to other efficiency-boosting features, the F-class gas turbines are designed to comply with stringent international emissions standards and ramp up its full capacity in 60 minutes, making it one of the most efficient and flexible power plants operating in the region.